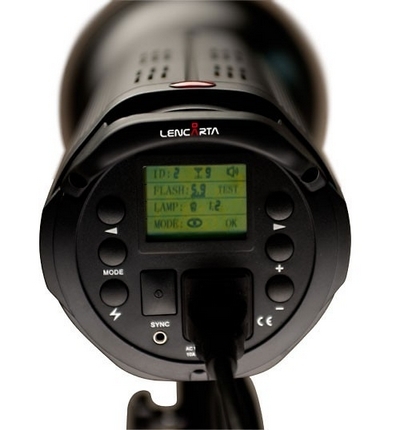 At Focus On Imaging 2012, Lencarta will launch their latest UltraPro series of monolights. Based on "the result of customer feedback and suggestions" they include built-in radio triggering, wireless remote control and fast flash durations. 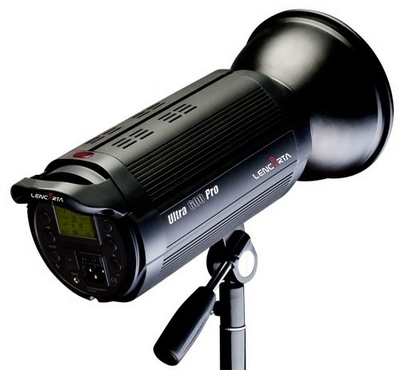 At Focus On Imaging 2012, Lencarta will launch their latest UltraPro series of monolights. Based on the Jinbei Digital Pioneer DPsIII, the UltraPro flash heads are “the result of customer feedback and suggestions” including built-in radio triggering, wireless remote control and fast flash durations. They will be available in 300J and 600J variants. The UltraPro offers fine adjustment from full to 1/32 power in 1/10 stop increments, proportional modelling lamp control and a large LCD settings screen. All features can be controlled wirelessly from the handheld 2.4GHz UltraPro Commander. 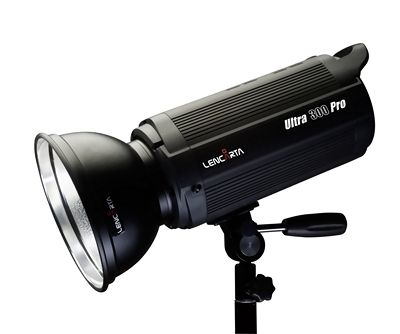 Unlike Lencarta’s other, plastic-bodied monolights, the UltraPro case is made of extruded aluminium. We asked Lencarta’s Garry Edwards about the differences between Jinbei’s Digital Pioneer DPsIII and the Lencarta UltraPro. [There are] major differences inside in terms of capacitors and controls. The Jinbei ones have to use DC capacitors that can cope with the very high temperatures in China. The advantage of DC capacitors is that they produce very little heat, and are cheap, but the big disadvantage is very slow recycling times. We have AC capacitors, which take care of that problem and the performance varies from 1.5 – 4 times faster, depending on settings. Our adjustment handle is much more user friendly; it’s also much stronger. With the AC capacitors in British climes, the UltraPro boasts recycle times as quick as 1 second at full power, versus the Digital Pioneer’s specified 1.5 – 2.2 seconds. The light stand bracket on the UltraPro is also superior as it can be adjusted using one hand. The following (slightly naff) video provides an overview of the Lencarta UltraPro’s features. The UltraPro range is available exclusively from Lencarta, priced at £199.99 for the 300J model and £259.99 for the 600J model, including VAT. The UltraPro Commander, sold separately, costs £49.99. Visit Lencarta’s stand, F20, at Focus On Imaging 2012 or use the code “focus” when ordering online during the show to claim a 5% discount.